Mouth-watering customised Chewy Fruits Baby Jar are a rainbow of colour that look great. 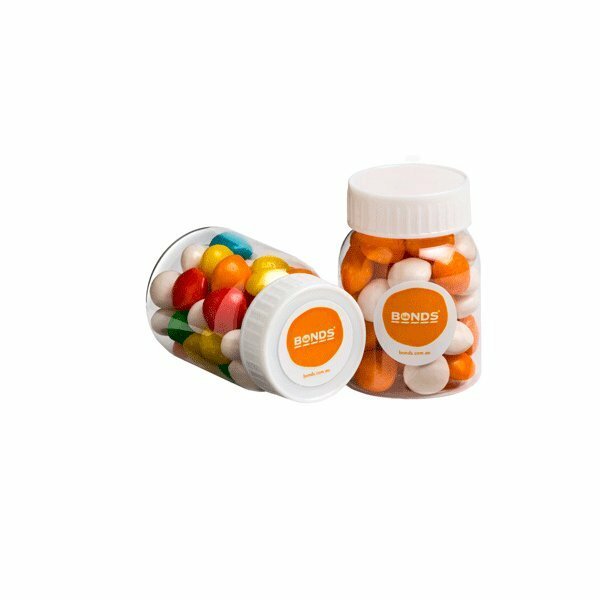 If you are looking for a delicious promotional product that is cute and will bring a cheerful vibe to any promotional event, you will definitely find the branded Chewy Fruits Baby Jar a much suitable gift item for the occasion. 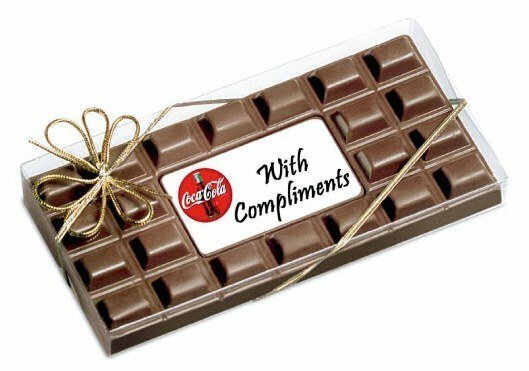 It is a clever packaging option with delicious chewy fruits inside that’s also a great advertising tool when you want to make a good impression about your brand. The jar stands 90mm tall and 40mm wide. Inside are 50 grams of delectable confectioneries that will surely get everyone’s mouths watering. With flavours like raspberry, passionfruit, and strawberry, anyone who gets a taste of chewy fruits will surely be wanting more. Also because the jar has a see-through design, the shiny colourful shells of the chewy fruits inside can be clearly seen. This lets the promotional Chewy Fruits Baby Jar become very much more enticing. You can also choose the colour of the lid to be white, blue, or red. Make sure to send us your custom design that you want to use for your advertising. Just see to it that they’ll fit into the allotted size of 25mm diameter for the circle sticker, or 38mm width by 21mm height for the rectangular sticker. For a more spot on baby themed promotional product, the branded Chewy Fruits Baby Bottle is sure to take on your events. Or if you’re making an event with a theme that is all about pets, take a look at the promotional Scaredy Cat Marble Chocolate. Make sure to check out all our other products so you’ll get a wide range of options for your upcoming events. And in case you need some help, our friendly customer service representatives will gladly offer their assistance. You can reach us by dialling 1300 008 300. Or you can also send your questions through our live chat application right at this website. Just before you head off, we find that our customers are buying promotional head wear to compliment their custom confectionery. That said, you may like to check out our comprehensive online cap website at Fast Caps. It might pay to start your search by looking at the personalised Brushed Cotton Mesh Back Cap. Hope to see you over there soon.